It’s been a little, or actually, a lot busy around here, so I was thankful for some beef in my freezer and my dutch oven the other day. 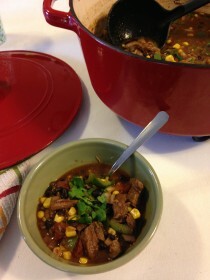 I was able to prepare an easy and delicious Tex Mex-inspired beef stew for my family. I’m usually pretty good about meal planning for the week, but last Monday I found myself working at the computer first thing in the morning and didn’t think about dinner until lunchtime. As I was prepping lunch, it dawned on me I better also get a jump start on dinner! We had a 4-H meeting with our three oldest children each giving oral presentations that night and had to be out the door by a certain time. We would also get home just in time to get ready for bed and school the next day, so dinner needed to be eaten before we left. 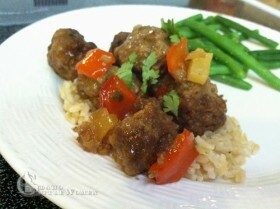 I pulled a package of Beef Stew meat from the freezer because it can be used in a variety of ways. Unlike a frozen roast or steaks that would have taken more planning time to use, stew meat can make a meal come together quicker. Braising is searing meat on a high temperature then finishing it in a covered pot set at lower temperature with a variable amount of liquid. 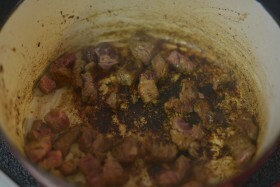 Meat for stewing should be lean and can be less tender because we’re going to use braising to create the tenderness. Cuts from the chuck or round are great for stew meat. You can buy it precut at the store or as a larger roast that you cut into chunks yourself. I appreciate that our butcher precuts bite-size chunks into packages for us. It’s usually the scraps after steaks and roasts are cut. 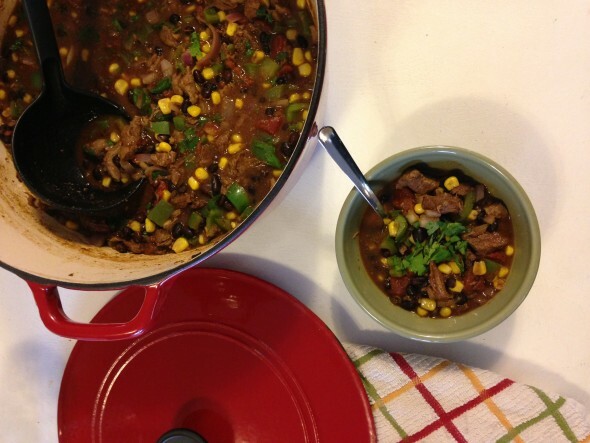 Stew meat can be a more affordable cut that still creates a delicious and hearty dish. I pulled the package, probably about 1 1/2 pounds out of my freezer and defrosted it in the microwave so it broke apart easily. Normally when I’m planning ahead I defrost meat in the refrigerator the day before I cook it. 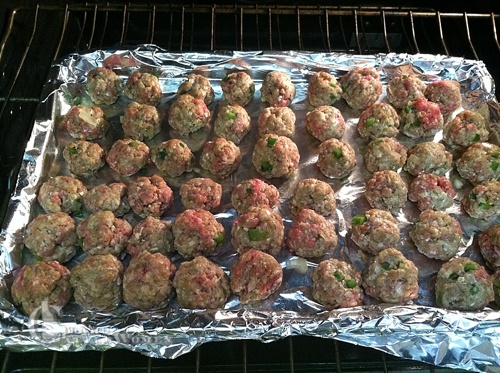 Safe cooking tip: Never thaw meat on the countertop. 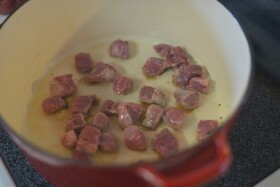 I put a little canola oil (around 1-1 1/2 TB) in a heavy stock pot and browned the pieces, making sure not to crowd them. I wanted them good and brown. As you can see there were lots of bits and pieces stuck to the bottom. After the meat was finished cooking, I added a can of stewed tomatoes and about a can and a half of water. Stirring the liquid helps deglaze the pan and gets all those yummy bits off the bottom. 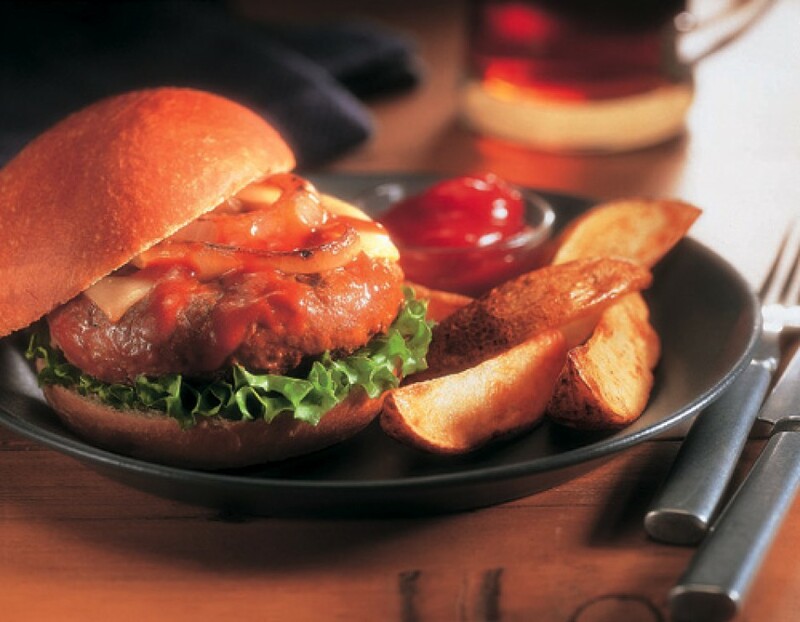 The acid in the tomatoes also help tenderize the meat. I also added in seasonings, including a tsp. of beef bouillion, 1 TB. of taco seasoning, some black pepper, cumin and minced garlic. This is where you can get creative—add seasonings your family enjoys. I also added one chopped chipotle pepper in adobe sauce. It adds some heat and smokiness. Smoked paprika is another option to add flavor. I set my temperature to low, which on my stove maintained a low boil/high simmer, then I checked the pot about every hour to see how the meat was tenderizing and if I needed to add additional liquid (I didn’t). It simmered about 3 hours. This braising method helps break down the meat so it pulls apart and is super tender. 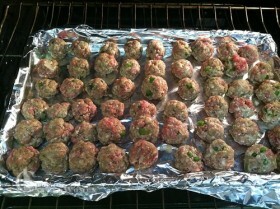 About 30-45 minutes before I wanted to serve it, I added chopped green bell pepper and chopped onion. I also added a cup of frozen corn and a can of black beans (rinsed). I cooked the stew until the veggies were tender, but still had a little bite to them. I topped the stew with chopped fresh cilantro. Other optional toppings could include shredded cheese, crispy corn tortilla strips, plain Greek yogurt or sour cream. Or you can leave it plain as it has plenty of flavor. *If you want to use this in your slow cooker, you can brown the meat in a skillet, deglaze pan with some water or broth, then add it to the slow cooker with the seasonings and veggies. Cook on low heat 6-8 hours or high 4-6 hours. This Beef Stew is super easy because you can take the meat in different flavor directions. I went with more Tex-Mex Seasonings because I had more of them on hand, but you could easily do a traditional stew with potatoes, carrots and celery or instead add Italian herbs and spices. Don’t be afraid to get creative! 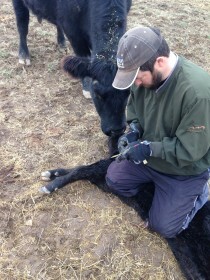 In addition to a full week of kid activities, it’s calving season on the ranch. 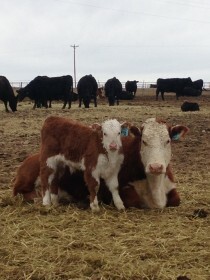 Lots of new babies are hitting the ground every day and it’s fun to have pastures full of cows and calves. 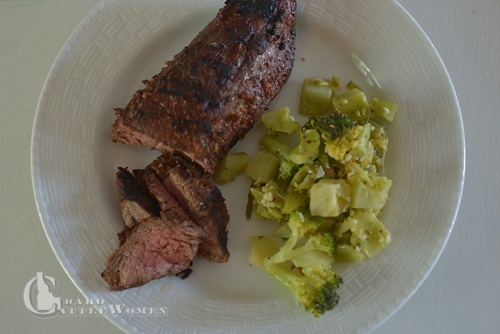 I’m sure many of you have busy weeknights also, but still want to get a great tasting and healthy meal on the table for your family. Don’t be afraid to keep a package or two of stew meat in your freezer because this Easy Beef Stew is a great option for a weeknight family dinner. 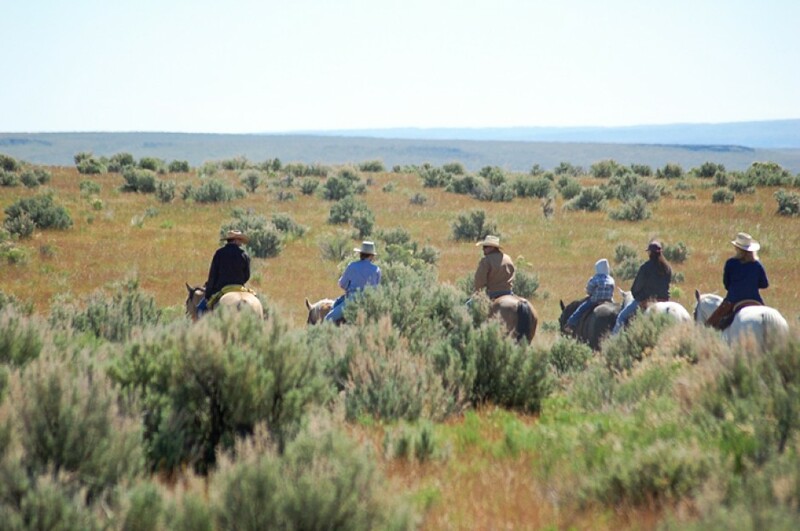 Maggie and her husband raise their four children and registered cattle on his family’s southwest Idaho ranch. 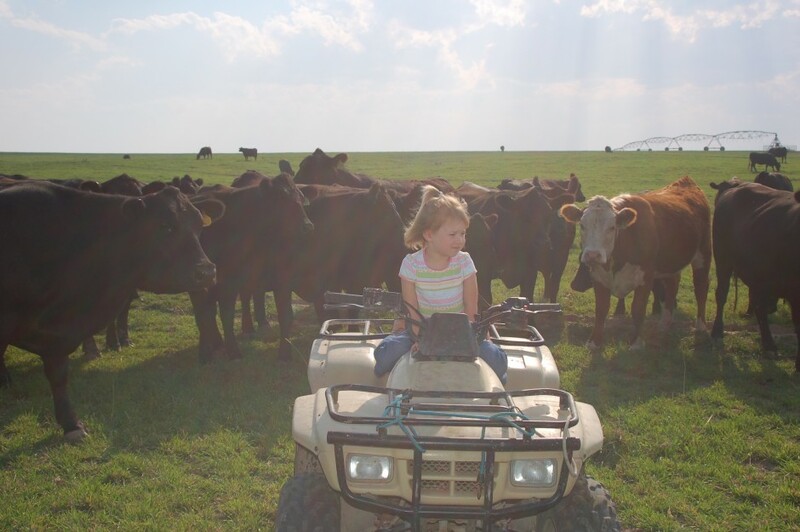 As a family, they enjoy sports, showing cattle, 4-H, church and other activities when not working on the ranch. 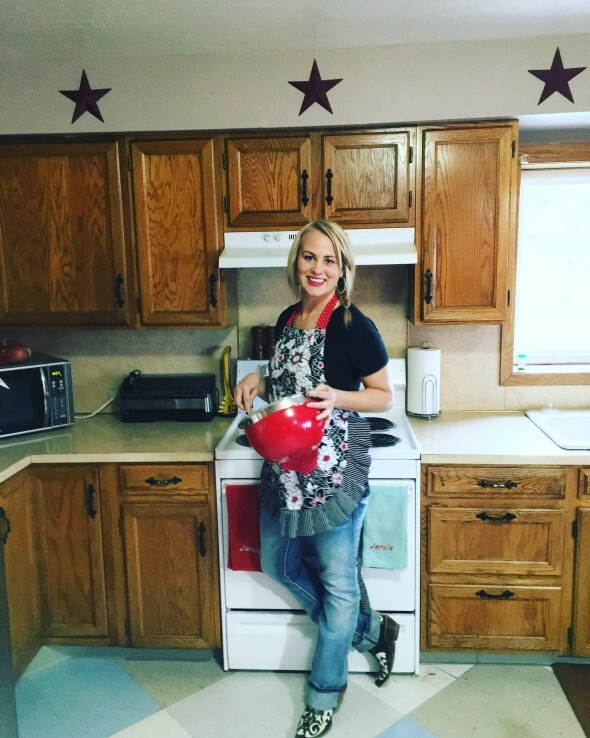 She likes to experiment with recipes in the kitchen, shares her love of sweets through baking with her children and has been known to start a DIY project every now and then. Sometimes she actually finishes one. Hello there, and Happy New Year! I hope the first few days of 2016 have treated you well! One of my goals for the upcoming year is to really focus on getting better at the things I’m already good at. That probably sounds a bit silly, but sometimes I think we get lost in wanting to add new things to our lives, when we really should be working to perfect the skills we already have. I’m the kind of person who likes to be the best, so why not work on bettering the things I’m already pretty decent at?! For instance, although my husband continually tells me I’m a great cook, I know I have a lot of room for improvement—and I know exactly how I can channel my inner Ree Drummond. 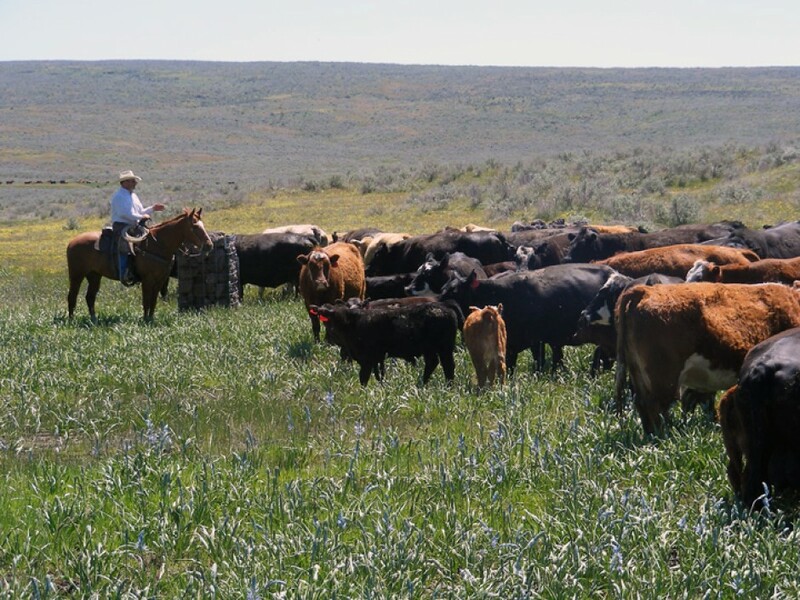 At the tail end of last year, our ranch had two animals butchered, which we split three ways. The great part about butchering your own animal is having a freezer full of beef. The somewhat unfortunate part of that is the daunting feeling of “What am I going to do with all of this?” This isn’t a bad thing if you know how to cook it all; but that my friends, is where I fall short. While I know I’ve eaten every traditional cut of beef, I also know that cooking them all (on my own) is something I have not accomplished in my 25 years of life. Until now! 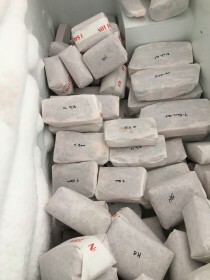 Isn’t a freezer full of beef just heavenly?! In an effort to keep my cooking creative (and my husband’s stomach full), each week or so for the rest of the year I plan to write about my culinary experiences with a new cut of beef. 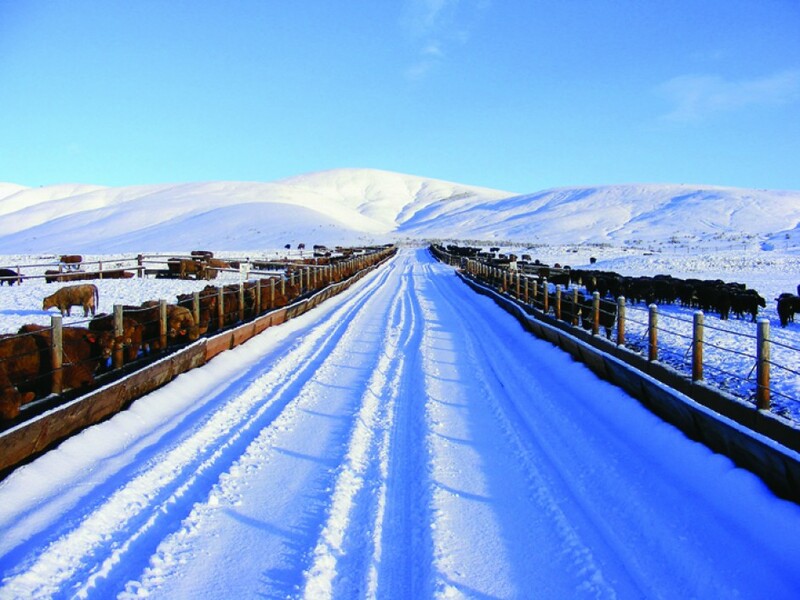 Some cuts will be repeated over the course of the year, but each cut will be guaranteed to feature a different recipe. I also plan on enlisting your help every now and then—asking for your tips, tricks, and fabulous recipes! 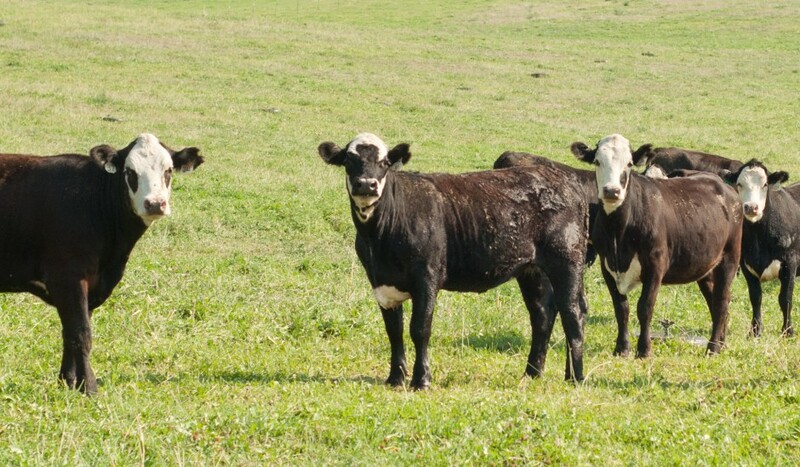 Join me on my quest for 2016, as I take on beef—one cut at a time! The other night I tried a new cut of beef for dinner. I had heard about it, but never seen or cooked one before. Even though I’ve been cooking with beef a long time, there are several new cuts that I don’t have a lot of experience with. And I love trying something new. 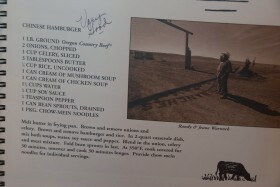 They tout it as the mock tender or filet, saying it’s just as juicy and tender. But like half the price. Well, this little cut of beef did not disappoint! I knew it needed to be marinated so I put it in a Ziploc baggie with soy sauce, olive oil, rice wine vinegar and garlic. I let it hang out in the fridge overnight. I decided to try grilling it. Tip: let it sit out of fridge about 30 minutes to come to room temperature before throwing on a 400 degree grill. I grilled it to medium rare, 145 degrees, about 14-19 minutes. Then I let it rest before slicing thinly to serve. I also made Roasted Broccoli with Parmesan and Garlic. I took fresh broccoli and cut in it into pieces (you could also use frozen broccoli) then I put it on a sheet of heavy duty foil. I drizzled it with a little olive oil, and sprinkled it with shredded Parmesan cheese, salt and pepper. I wrapped up the edges and put it on the grill also. I cooked it until vegetables were tender, about 8 minutes. 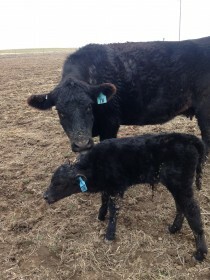 Here are a couple other links about this cut of beef. It’s really easy to cook and makes a great presentation. I hope you try it out. 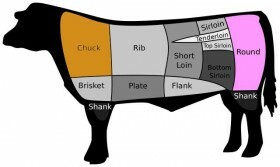 If so please leave us some comments or if you have any questions about cooking with beef, feel free to ask. 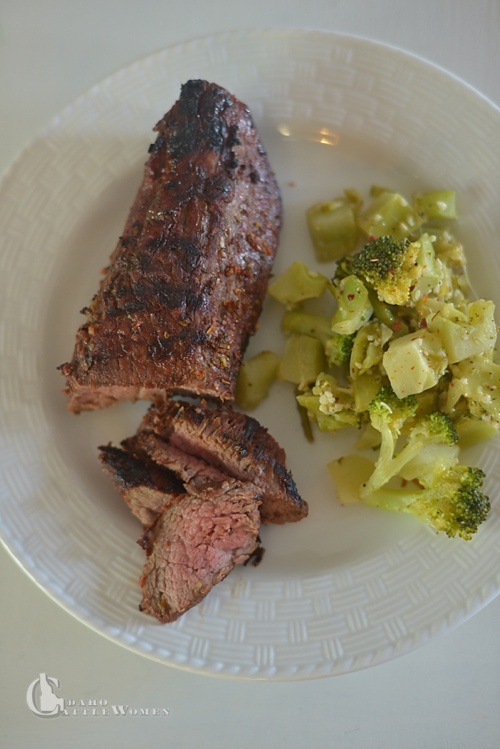 Beef is part of my family’s healthy diet and I hope you make it part of yours too! 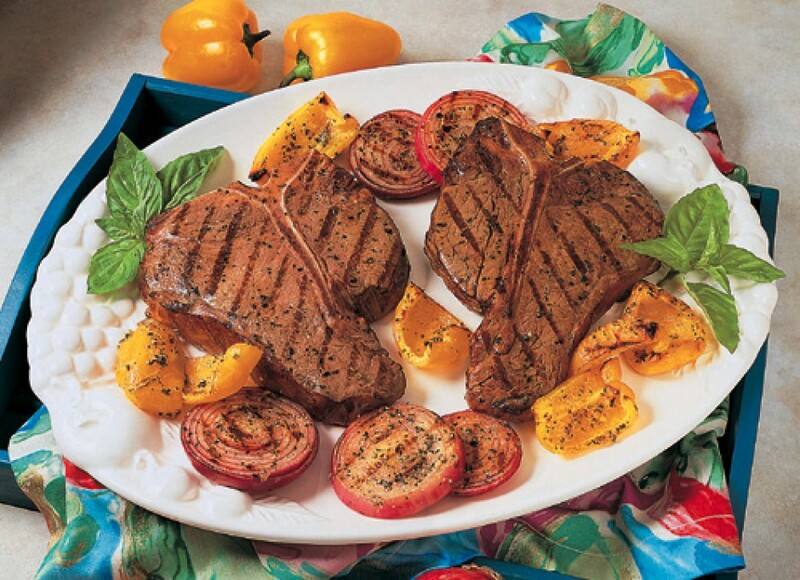 The pictured shows the entire petite shoulder tender steak with a few slices. Those slices equal around 3 oz., which supplies you with 22 grams of protein plus 10 essential nutrients and only 150 calories. Nutrition information per 3-ounce cooked serving: 150 calories; 6 g fat (2 g saturated fat; 2 g monounsaturated fat); 22 g protein; 0.5 mg vitamin B6; 4.4 mcg vitamin B12; 2.2 mg iron; 4.5 mg zinc. With March Madness in full force and girls’ basketball finished, I reflected on Dana’s final year in high school basketball. 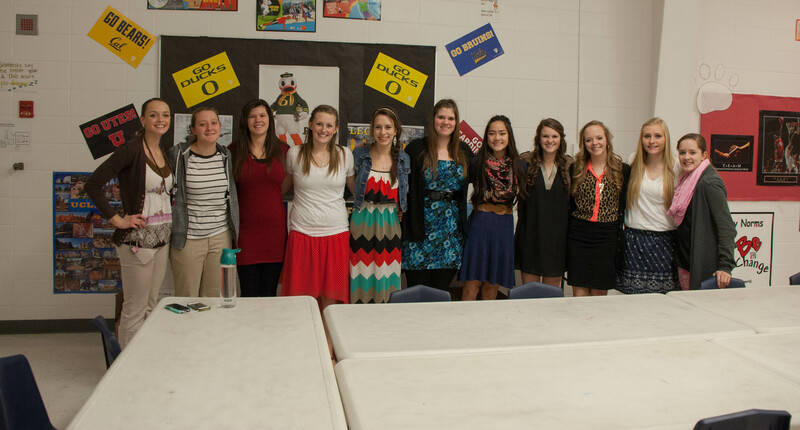 Basketball has been Dana’s sport passion. Her senior year was a bit up and down, as the team dealt with many injuries. But, they finished in the state play-offs. The larger life lesson is not the win/loss record, but the friendships built through practices, team bonding, school bus rides, and team meals. 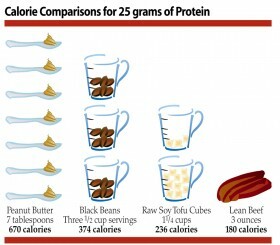 Plus, as this chart illustrates, beef is lower in calories compared to other protein sources. 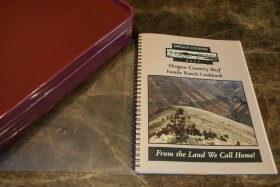 I chose a casserole recipe I’ve used countless times for ranch crew meals. 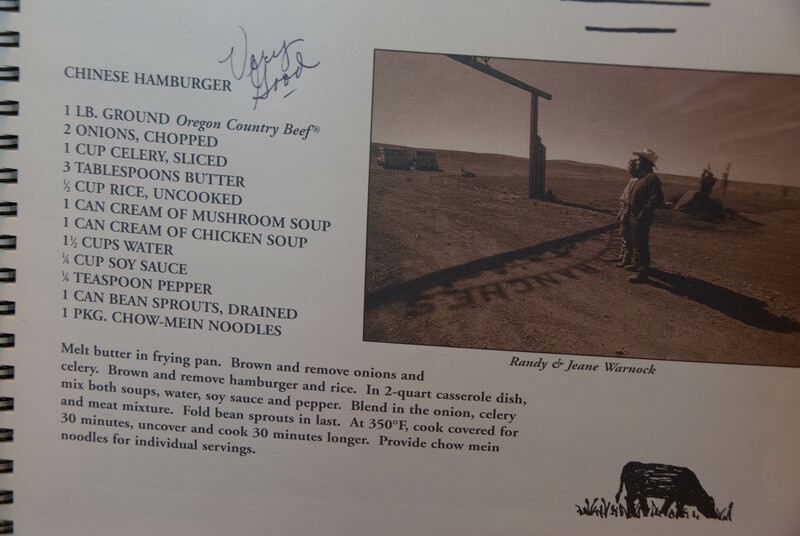 One of my favorite cookbooks was a thank you gift for purchasing a bull from a production sale. The Oregon Country Beef Family Ranch Cookbook has recipes from beef producers in Eastern & Central Oregon. 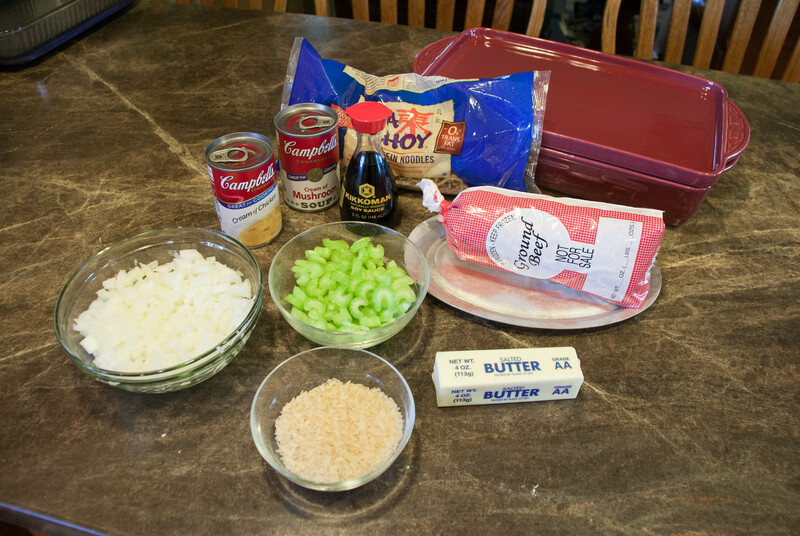 The Chinese Hamburger recipe is great for team meals, crew meals or potlucks. Simple ingredients that are always in the pantry and refrigerator. 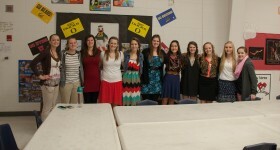 The WHS Girls Varsity Basketball Team. . .happy to be Beef ProTEEN! Sauté onions and celery in butter until tender, remove from pan and set aside. 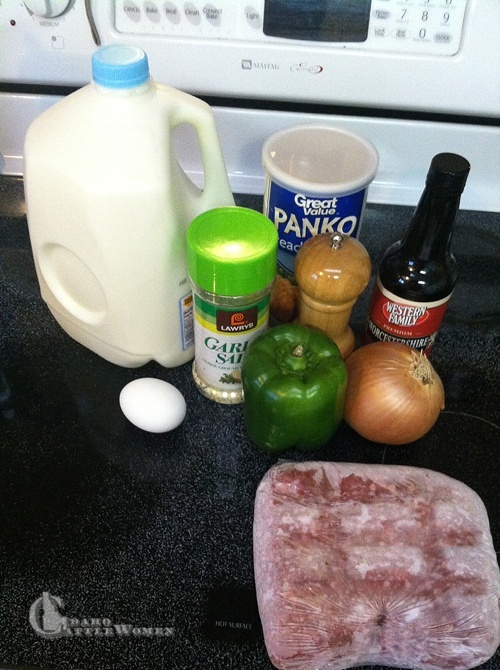 Brown hamburger and rice until cooked through and remove from pan. In 2-quart dish, mix cream soups, water, soy sauce and black pepper. Blend in meat, rice and vegetables. Fold in bean sprouts last. Cook in 350 degree oven covered for 30 minutes. Cook another 30 minutes uncovered. Serve noodles with individual servings. 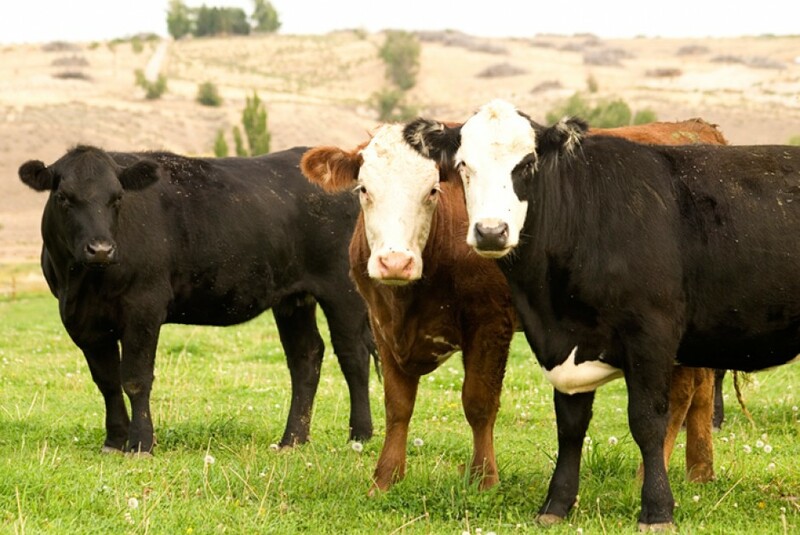 You can be confident that when you fix BEEF, you a providing a nutritious, protein-packed fuel for your family!